Searching for a new home can be a challenge; you have to make sure the house has all of the features you need, obtain financing, negotiate with the sellers…the ever-growing list can seem daunting. But with the help of your trusty real estate agent, it’s nothing you can’t handle. That is, until you find out your personal information or finances may have been compromised by cyber criminals somewhere along the line. It’s become common practice for cyber criminals to hack into email systems and attempt to steal personal information. Unfortunately, many of these scammers see real estate transactions as a gold mine, and rightfully so; there’s a ton of money changing hands and personal information galore. 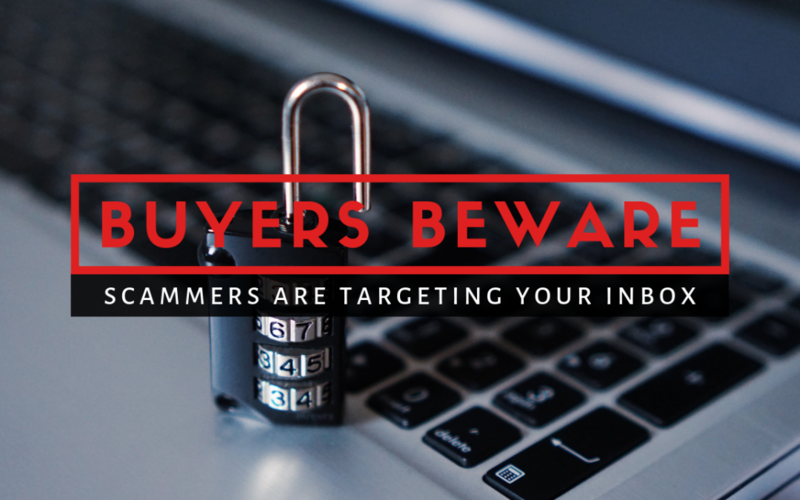 These criminals collect private information by sending emails to buyers prior to their closing, pretending to be their real estate agent or title company. It’s important to practice extreme caution when you give out any sort of financial or personal information, even if it seems to make sense at the time. These scammers are skilled at deception—it’s what they do for a living. Avoid becoming a victim of these online con artists by making sure you know exactly who you are communicating with and contacting your professionals directly through phone numbers you’ve previously established are safe. Emails that tell you there’s been a last-minute change or demand immediate action are red flags, and you should exercise caution when clicking on links or opening attached pdf files. Hover your mouse over links before clicking to make sure they are from trusted websites or navigate to the website yourself. At Title Junction, your security and comfort are of the utmost importance to us. If you don’t feel comfortable giving your information via email, we’ll be more than happy to accommodate you on the phone. Still not comfortable? Stop by our Fort Myers office and speak to us in person to verify any needed information. When you close with us, we will always give you the real estate/closing relationship you deserve. Loan application fees. Yuck. Nobody likes to shell out money just to apply for a loan, but it’s a necessary evil. The loan origination process does involve work on the lender’s side, and the application fee pays for the costs of underwriting the loan, the home appraisal, a copy of your credit report, and any additional charges that may be necessary. Application Processing – The lender has to process your application by reviewing the information for accuracy and completeness. If there’s any faulty or missing information, they will send it back to you to correct or fill out. Underwriting – This is where the lender pulls together provided information like employment information and credit scores, which are taken into consideration along with the information on your application. Once the underwriting process is complete, the lender will decide whether to approve or reject your file. One Last Check – If it’s approved, your file will go through one last round of quality control, which is essentially a last minute check to make sure everything is in order before they fund your loan. Keep in mind that application fees are generally non-refundable, so make sure to get pre-qualified before you submit any loan applications. 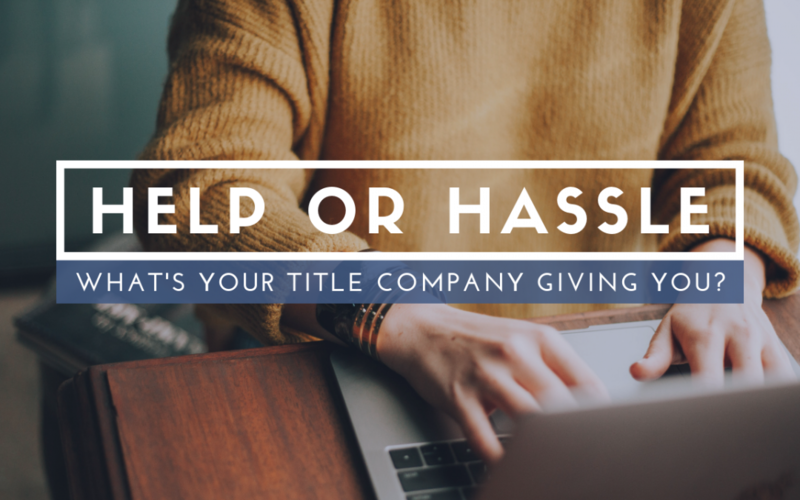 In case you missed it, check out our last Title Junction post: Help or Hassle: What’s Your Title Company Giving You? If you type PMI into Google, the first result that pops up will likely be for a non-profit organization. But if you scroll down a few results, you’ll see the meaning that makes a lot more sense within the context of buying a house: Private Mortgage Insurance. Or in some cases, Private Mortgage Insurer. In either case, these are privately-owned companies that provide mortgage insurance. They offer both standard and special affordable programs for borrowers. These companies provide guidelines to lenders that detail the types of loans they will insure, and Lenders use these guidelines to determine borrower eligibility. Most mortgage lenders will require that you have mortgage insurance in order to obtain a loan. PMI’s usually have stricter qualifying ratios—like having a good credit score—and larger down payment requirements than the Federal Housing Administration (FHA), which is another option for mortgage insurance. But PMI premiums are often lower and they insure loans that exceed the FHA limit. In other words, PMI’s give you more options if you qualify. Rentals This is a classic way to enter into the real estate investment process. Apartments, condos or homes near colleges prove to be popular as they are high in demand and have a decent turnover rate as new students arrive and graduating students end their leases. If a high renter turnover rate doesn’t jive with you, you can always rent to families, who tend to stay in place longer than students. Vacation Homes These locations often prove to be different from your basic rental because you are also selling the experience and the location, rather than just the features. You will also be responsible for maintaining the property for a variety of guests for shorter periods of time. These homes may be easier to advertise, enticing vacationers no matter where they live. Your Own Home Your own home may be your greatest investment! In this scenario you can enjoy the convenience and luxury of making your own personalized upgrades while knowing that the value of your home will increase with every strategic improvement you make. 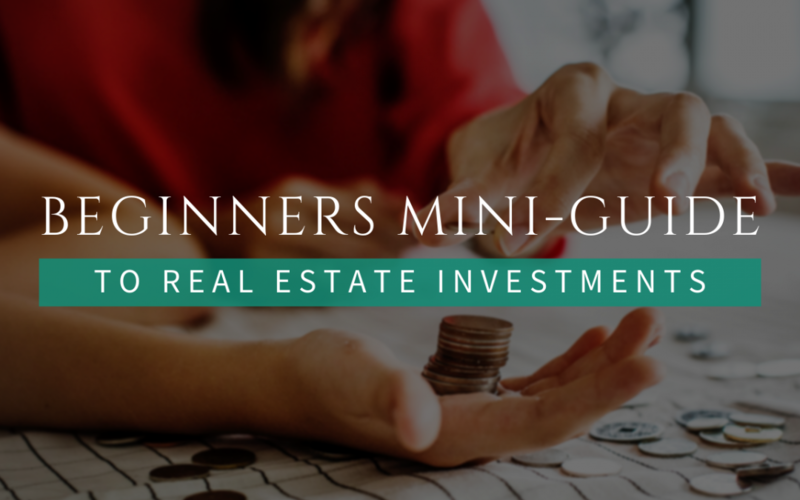 These are just a few of the many ways to begin investing in real estate. Remember that if you are buying property, title companies like Title Junction can help protect your finances while taking you from contract to closing table for each property you wish to purchase for investment. Yes, sadly, a signed sales contract does not mean that your house is sold. Before you can make it to the closing table where your house will well and truly be sold, the buyer has to get financing to meet the contract terms—which includes credit checks. Additionally, the property is inspected and appraised; title insurance and escrow accounts are set up while you locate new housing, pack and move. You’ll also need to take care of any obligations like painting or repairs. After the contract is signed, it can take a month or more of closing steps to reach the closing meeting. When you plan to sell your house, make sure to factor the appropriate closing steps into your plans. 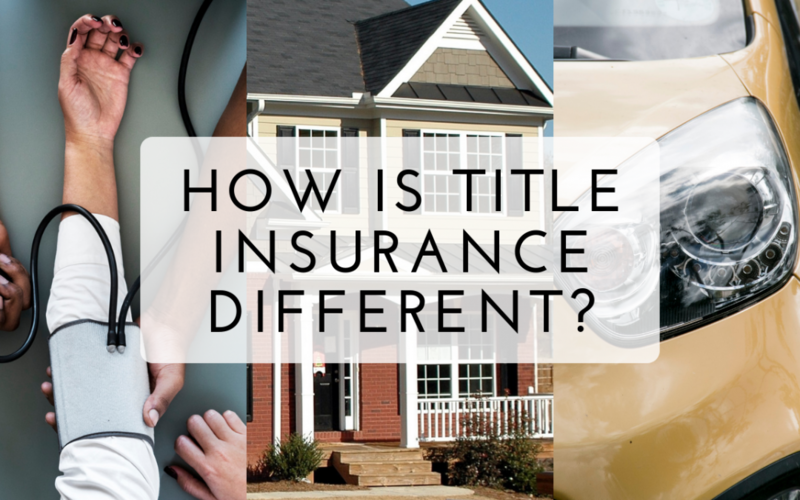 In case you missed it, check out our last Title Junction post: How Is Title Insurance Different? Most of us are familiar with the concept of insurance. Because we can’t see into the future, we can never be too careful when it comes to protecting the things that we value most. But how many people understand the difference between owner’s title insurance and pretty much any other kind of insurance? Take automobile insurance, for example. Fees and rates are calculated based on statistics from studies that have demonstrated the idea of assumed accidental rates. These insurance companies are banking on the idea that accidents will happen, whereas title insurance companies work for you to make sure that nothing does happen and, if it does, you’re fully covered. Title companies—like Title Junction—pride themselves on eliminating the risk of threatened ownership and property investment. Title companies are able to do this by diligently gathering, storing and examining previous and current records that pertain to the property being purchased. Additionally, an owner’s policy only requires a one-time payment that will protect you until the day you sell your home, whether that happens the following day or 20 years down the line. Most importantly, by choosing a title company that you can trust (hint: Title Junction), you’re investing in peace of mind. You won’t have to worry about property disputes that may arise in the future because you’ll have a reliable and resourceful company backing you for as long as you own your home! In case you missed it, check out our last Title Junction post: How Can I Keep Track of the Homes I View? How Can I Keep Track of the Homes I View? If you’re viewing multiple house listings in pursuit of “the one,” it can be a challenge to keep track of all the details. Was it the first property that needed bath renovations or the second? Did your realtor say that one of the property owners would negotiate on hiring painters? Was it the fourth home you saw that had granite countertops or the seventh? We’ve all been there; you’re confident that you’ll remember all the details about the house you’re viewing, but when you finally get around to considering your options at the end of multiple walk-throughs, the individual details seem to fuse together. 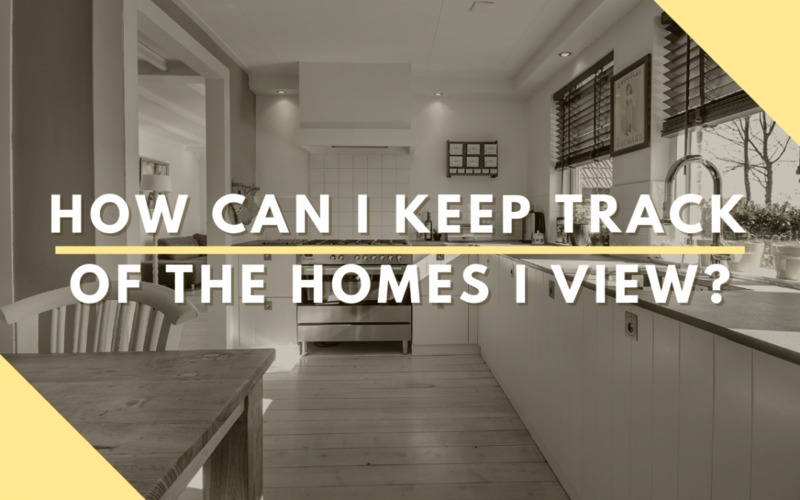 So what can you do to keep track of your thoughts on each property? Don’t be afraid to take snapshots of a home for later viewing. If you can’t recall something, a visual could be just the thing to jog your memory. Make sure to get a variety of photos that include the exterior of the house, the major rooms, the yard, and any extra features you either like or see as potential problems. Even though a photo will probably help you remember your thoughts after a walk-through, it’s possible that you’ll wonder why you took that particular photo in the first place. Jot down how you felt about the size of the rooms once you were in them. Did you have any concerns about sounds? How about smells? These are crucial details that should be kept in mind when making your final decision. The last thing you want to do is mix up photos and notes from different houses. Create separate folders (digital or physical) for each house you viewed, and include any contact information you may need regarding questions about each given property. We know there’s a lot to keep track of when shopping for a new home, but a little bit of extra effort during walk-throughs can help avert many future headaches. In case you missed it, check out our last Title Junction post: Could My Loan Costs Exceed The Loan Estimate?